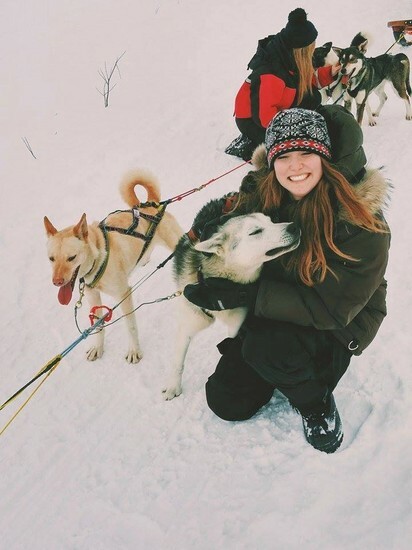 Sean McNeil (CALS '16) dog sledding in the Arctic Circle, Sweden. She is studying abroad at Uppsala University in Sweden. She says, "Studying abroad is best decision I have ever made and I couldn't be happier." "Travel is not a reward for working - it's an education for living." How can you add to the conversation? What will your story be at Cornell University? We dare you to create it abroad! Join us for our annual International Opportunities fair! 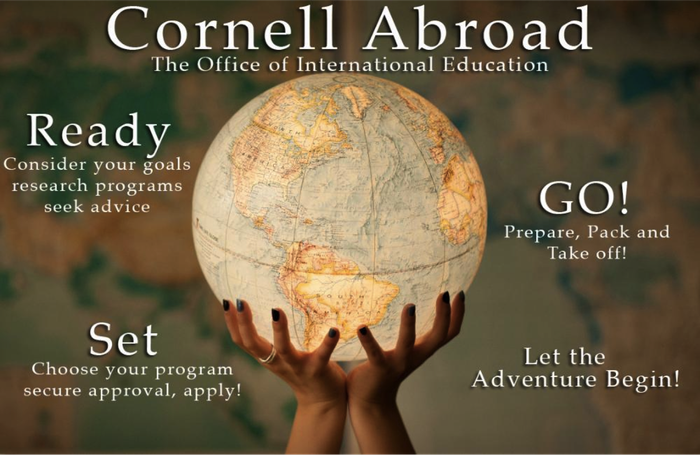 Cornell offers a wide array of opportunities to make a meaningful international experience a part of your Cornell education. Choose to study abroad in universities, improve language skills, conduct fieldwork, engage in service learning, participate in an internship, or conduct research. Over 500 students annually in 350 Approved Programs!